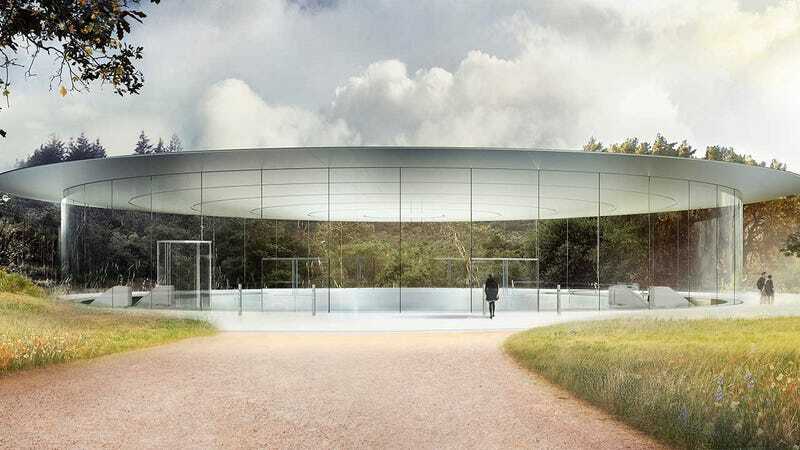 After nearly six years of toil, Apple’s long-anticipated campus, you know the thing that looks like a giant spaceship, will open to employees in April. Given the hype, and the amount of time Apple had to think about it, we’re a little surprised by the new HQ’s understated name: Apple Park. Look, we get it, sometimes a simple name is good. The iPhone comes to mind! But come on Apple, this is a literal spaceship. Give us some pizazz. Give us some fun! Google has the Googleplex, Facebook has MPK20, and Apple has... Park? We’ve been covering the saga of Apple’s long-awaited spaceship campus from the very beginning. We were there when Steve Jobs was selling his vision to the Cupertino City Council. We were there when the company’s then-CFO was telling the area neighbors that it would be fantastic. We were there when the construction resulted in a hill. We were also there when the hill died. The project reportedly cost over $5 billion to build. Apple originally targeted a 2015 move-in date, but that was pushed back several times as the project continued to grow in scope and budget. And now we’re finally here. Apple Park.